As you know, Tesla was a great scientist, inventor and researcher who discovered a lot about the properties of the currents. Thomas Edison was his biggest competitor. He decided to interfere Tesla's researches and built aggressive towers on his way. 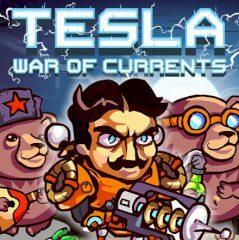 Help Tesla to destroy all the towers and to get to the exit from each of the levels.